The mobilephone intercom is a basic carrying business built on 2.5G/3G data communication network, whose data path is provided by wireless network. 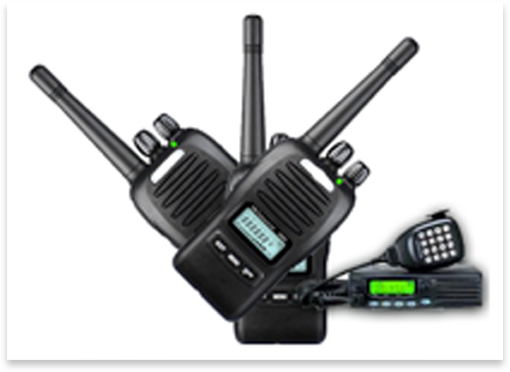 It offers two-path end-to-end high-quality data voice services and functions same as the traditional two-path radio intercom system. Compared with the telephone call business, PTT has many features like dot to multidots, one-key call, always online, etc, which can meet customer’s requirements under special circumstances. This business is designed to particular persons who will be contacted with frequently in a long period of time. 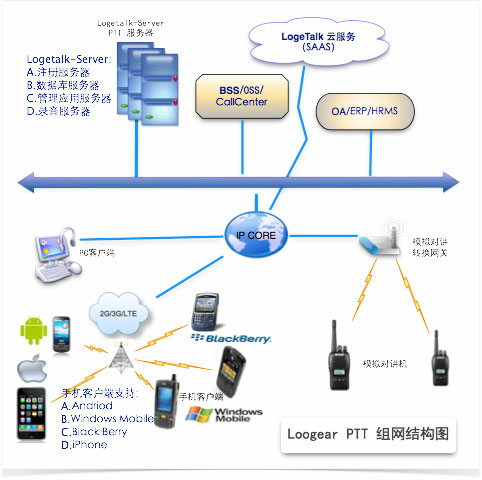 Loogear PTT is a mobile intercom system developed and operated by Loogear inc. Both the Cloud edition and enterprise edition which need to be installed separately are offered at the same time. The Cloud edition: the Cloud edition of Loogear PTT is “LogeTalk myna”, and clients can use this system by renting it, which will save the high maintenance cost than purchasing the software and server. Now LogeTalk has been opened to overseas customers. The Chinese edition will be released soon. Separate server edition: the enterprise edition of Loogear PTT provides separate PTT server, which can provide enterprises with whole solutions including terminal software, server software and ROIP. Cloud version:Loogear PTT cloud version as "LogeTalk myna", Provide half-duplex collective communication business within areas covered by mobile communication network based on the wide and large-capacity mobile communication network and the self-built Wifi network. The business adopts Push to Talk technology and is relied on smartphones (Android,Windows Mobile). 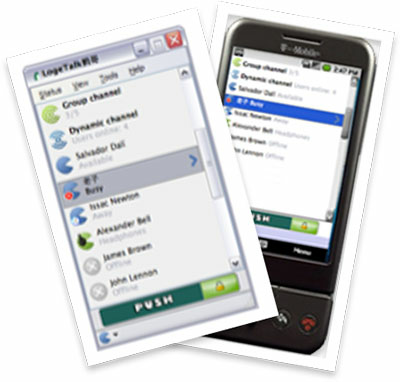 Independent server version:The Loogear PTT terminals are supported by the mainstream smartphone operation system including Windows Mobile,Android，BlackBerry，iPhone (IOS). Aiming at each operation system, we optimized the system from aspect of the way voice processes user’s key-pressing habits. For every operation system, the software offers the same functions, but they are all special editions which have different protocols and other features. Group: a caller with multiple the called party (one-to-many) half duplex communication between. Single: a caller and the called party a half-duplex call between (1:1). Strong cut in: group members can give the user permissions, there is strong user can interrupt the other members of the group calls at any time. User temporary groups: has the permissions users can create their own temporary groups, and add group members, initiate a temporary group session. Present status: the current state of the user terminal can set themselves, and get all the contacts in the contact list, status, including online, stealth, free of interference, conversation, offline, speech six states. Instant messaging: the user can select contacts or a member of the group, a one-to-one instant messages; Can also choose to group the one-to-many group instant message, the message is sent to all members in the group. Call records: the system will record user call records, contains the group call records, did not answer the call request information, etc. To not answer the calls for callback or join a group communication.. Boot automatically start, automatic login: terminal PTT software after the installation, the user can install software startup or automatic login function. 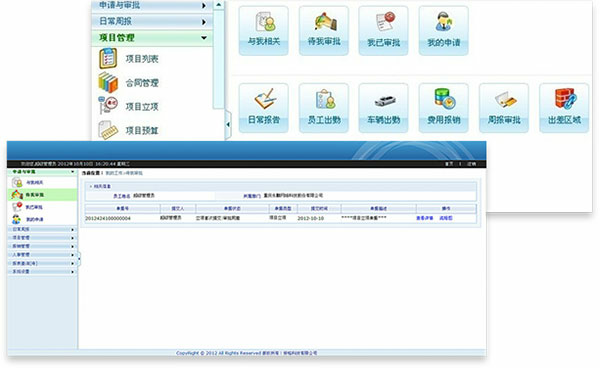 Permanent online: end users in the use of PTT terminal software, if not active log out or exit system, the software will remain permanently online. Eliminate network reasons, such as mobile phone card overdue bills or shutdown abnormal condition. Cluster roaming function: users can roam permissions cluster in roaming access the cluster service. Management functions: information query, priority management, operator management, rights management, etc. Enterprise management: the enterprise administrator management, enterprise information management. Group management functions: increase group group group, modify, query, delete group, increasing the group members, modify group members group members, query, delete group members. User management function: the user information management, user belong to group management. System configuration, change passwords, etc. Log management functions. Loogear PTT The client, support the mainstream smartphone operating system. Including: Windows Mobile, Android, BlackBerry, iPhone (IOS). 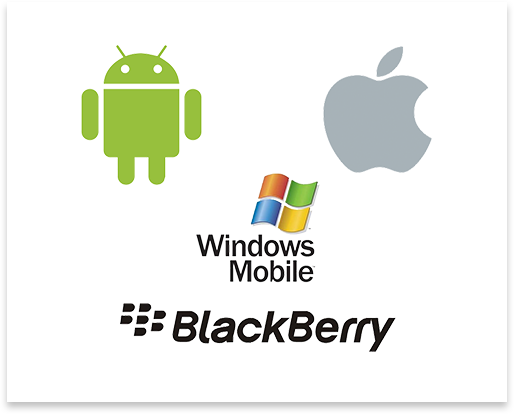 For each kind of mobile phone operating system, in speech processing user keys used to do the corresponding optimization, each operating system, the function of the software is not only agreed to communication protocol and the version is different with their respective operating system features a special version. Loogear PTT Provide specialized PC client, the PC client supports Windows version, the client and mobile version has been completely, PC client for PC users (such as scheduling personnel office, mobile PC users) using the voice of the computer and mobile clients such as mobile phone and analog interphone customers keep time through. Loogear PTT According to different usage scenarios, the system provides support for traditional analog intercom access support, that is to say, to join in the network structure about analog signal is converted to IP signal analog intercom conversion gateway, intercom telephone conversations can be realized with the simulation terminal connectivity. To avoid the emergence of communication island, at the same time to the user in the use of equipment and play their respective strengths of analog to digital talkback increase the optional solution. Voip solution SmartComm adopts flexible network structure, system of telecom operators level of network application. At the same time support for the application of the enterprise level. SmartComm Adopt an open structure, can be flexible application integration. Can facilitate the application integration with existing or a third party. Such as workflow, teamwork, OA system, enterprise email, WeChat, etc.